When it comes to anything that needs to be documented or arranged in an organized database, there is only one tool that comes to the mind – MS Office. Although, MS Office is an incredibly great tool that has been catering to business and personal users, it also has several limitations. The major drawback of MS Office is that you’ve to buy it for all the machines you’ve got. The license for the tool comes with a limitation of computers that can use the same product key of the tool. OpenOffice is another such tool that lets you do almost every operation that you can do with MS Office, yet in a much economical price. OpenOffice, with time, has proven to be one of the best comrade for new businesses, who don’t have much budget to spend on office utility tools. 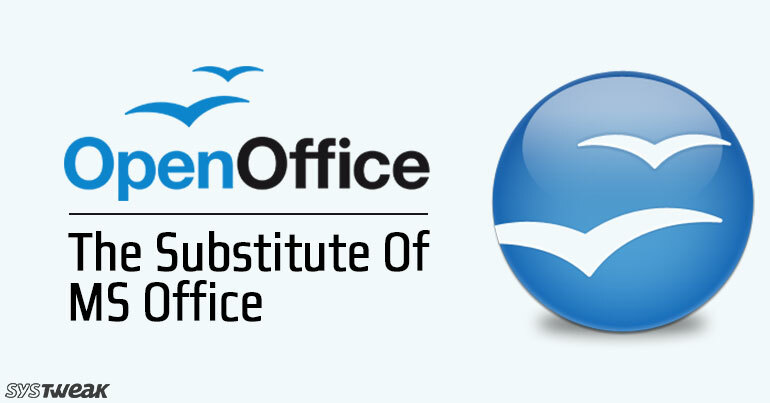 Today, we are going to tell you the reasons, why you should get an OpenOffice if you’re a little tight on your budget. Where Microsoft has made Office 365 a subscription based service for its business users, you’re never going to own the tool. However, OpenOffice doesn’t ask you to pay the subscription fee every month or year. As soon as you pay for the tool, you own it. So, there are no cases of late payments and ‘no payment no service’. OpenOffice openly supports other file types that saves you a lot of time and efforts. With OpenOffice, you don’t have to go through various conversions to get the access of a file on the tool. With Apache 2.0, OpenOffice lets you install and copy the tool on as many computers as you want. You can even distribute it among your friends or colleagues. If you want, you may ask for the contribution among the total no. of users who wish to use the tool. It is economical in any way you want to take it. When you’re getting the tool in all your machines for almost free, how can it charge you for upgrades. Well, OpenOffice is so modest that it doesn’t charge you for the new versions and upgrades. OpenOffice gives you another reason to fall in love with it, when you’re talking about supporting languages. With the developers working around the world for OpenOffice, it caters 40 different languages, way more than MS Office. The tool is also geared up with 70 custom dictionaries, which helps you check the grammar and spellings of your native. Overall, OpenOffice seems more economical than any other tool with same properties. If you’ve just started a new business, it is understood that you can’t afford a fancy or branded office utility tool. The OpenOffice comes in handy in such scenarios. It not only helps you save some bucks and use them elsewhere, you’re also allowed to open different files types without much efforts.